Though there are many out there who have dealt with addiction in their families, there are a fortunate few who have not. 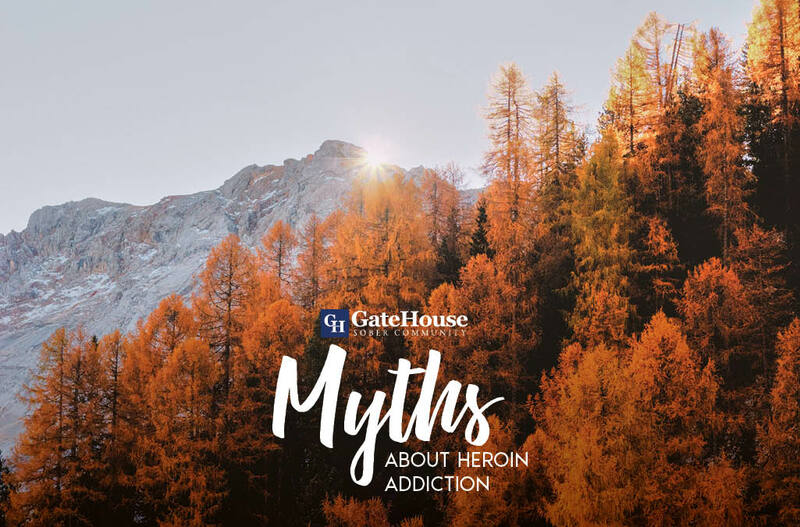 For that reason alone, there are plenty of individuals out there who have been told myths about heroin addiction and GateHouse Sober Community wants to clarify these misconceptions. Being a sober living NH community near MA has allowed us the opportunity to better understand heroin addiction and separate fact from fiction. Addiction is an extremely complex disease, and heroin addiction, specifically, is no exception. Though addiction often manifests over time, there are many individuals who have reported cravings and physical dependency to heroin just after one use. Often these cravings lead to a strong and difficult addiction, and become a driving force in any user’s life. A study conducted by the Substance Abuse and Mental Health Services Administration indicated that 8 in 10 people who started using heroin had first started with prescription pain medicine first. As a cheaper opioid alternative, many have made the transition to better feed their growing addiction, and many times started with a simple injury and a prescribed painkiller from their doctor. Heroin addiction recovery is a difficult journey, and with high mortality rates and higher relapse statistics, we can understand the misconception. Though recovery can feel impossible, it doesn’t have to be when you find the right facilities to help you after rehab. Sober houses near MA like GateHouse have helped men transition their lives with our 12-step community, and now lead positive and health lives.